As a business executive that authorizes programs and projects, it can be frustrating to get a business case for action with a great ROI, then never understand much about the result of the program other than the fact that it maybe came in on time and on budget. The story is often that the business dynamics have changed since the business case was authorized and the proposed solution was implemented. Because program leaders and business directors don’t want their long days of hard work invalidated, they may have several reasons why the results can’t be measured — plucked from a long list that’s been used untold times before. As a program or project manager, the day-to-day responsibility of keeping the wheels on the project often means delaying benefit reporting until the end of the project when the solution is about to be turned on. Only then does it become obvious that it’s too late to capture the benchmarking data needed to compare new solution results to previous process results. Often on the list of benefit opportunities is the “quick hits” line, which is intended to help “self-fund” the project or program. These will often be set aside with the project approval, as they can mean interim process changes and the time spent implementing those interim changes can appear as wasted effort since the process will be changed again with the end solution. People often also try to link process metrics with direct impacts on resultant or corporate measures. For example, reducing cycle times may have no impact on business results if time compression isn’t an issue. Reducing rework or error rates won’t have a business impact if headcount isn’t reduced/re-assigned to more productive areas or more revenue is able to be handled by the same amount of staff. Generally, the impacts on process measures require a management step to be made before they become a business value impact. This calls for connecting the approved business case for action to a trackable business value plan. What is a Business Value Plan? A business value plan should be the time-phased embodiment of the business case used to gain project approval. But more than substantiating the authorization that program and project managers need from executive leadership, a business value plan establishes a kind of roadmap for how a business leader affected by the project is going to align business activities with the overall strategic goals of the organization. There is much more to this concept, and business value plans are early drivers of the overall strategy, but they’re still a foundational element. But just as executives are often left without insight into the result of a program or project beyond the knowledge that it satisfied standard project health metrics (scope, duration, budget), program and project managers often emphasize an endpoint rather than the end goal (and there is a difference). It’s understandable. Even at the program level, work just needs to get done. But it’s not advisable. Moreover, it’s a mistake — one that not only deprives the organization of valuable retrospective process and performance data, but also insights into the future of the organization. Completing a goal doesn’t necessarily mean things are going to improve — only that a milestone has been reached or checkbox has been checked. Program and project managers need to account for the potential changes and planned benefits between approval and completion, and more importantly, how this relates to gaining true business value. What’s key to a business value plan is the ability to re-plan — and re-plan the re-plans. The business world doesn’t hold still, and program leadership should be able to show executive sponsors that they’ve maintained control of their program throughout the business’s changes. 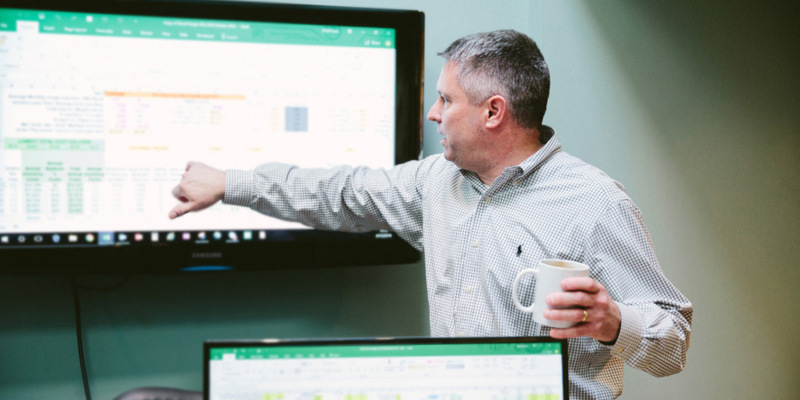 With data visualization platforms such as Tableau, PowerBI, and others, program reporting can be readily structured to be easily updated and compare initial plans, actuals, and re-plans. With this high-level oversight, as well as the flexibility to make adjustments, program and project managers will be in a better position to continually report on the planned impact of their work — despite changes to scope, price, time metrics (confining as they are), and other key metrics. More importantly, it can provide the drill-down capability needed to understand why results may appear differently than what was anticipated at the time of program authorization. There is a positive perspective here: By segmenting the “reality” of program or project performance over time, everyone can gain a sense of benefit delivery during that period in relation to the anticipated delivery at program implementation. For example, if the program manager discovers three months into a year-long program that benefits are taking hold sooner than expected, this can be reported to executive leadership. The original business value plan projected a steady incline in benefit delivery over the year, but with program benefits taking hold sooner than expected (and with the data to prove their validity), leadership teams and the program manager can make adjustments to the program immediately. The program may be shortened, fewer resources allocated to further save costs (or conversely, more resources allocated to exponentiate the benefit), and so on. What matters here is that the business value plan, in conjunction with the business case for action, gave everyone the insight needed to actually focus on delivering benefits to the organization and gaining business value while accounting for change and impact along the way. Many organizations experience this frustration with their programs due to inexperience with formal program management and inexperience with business value plan development. This no fault of their own; it’s a learning- and experience-based solution. Imagine trying to develop a process to build a house without knowing anything about what goes into building a house. You simply wouldn’t know. The good news is that you’ve already found someone who does. If your organization has gone through a program or project to be left with a solution and no or minimal insight into the benefit it provided along the way (and will provide in the future), we’d like to hear your story.